One of the highest priorities we address here in the website is chronic pain management. We have many articles devoted to specific areas of pain and symptoms within fibromyalgia and co-conditions. And, even though fibromyalgia is unique in how it affects multiple systems in the body, we are not alone when it comes to "managing" pain; over 100-million adults in the United States suffer with chronic pain. Additionally, 80% say they are affected by depression because of the incessant pain. 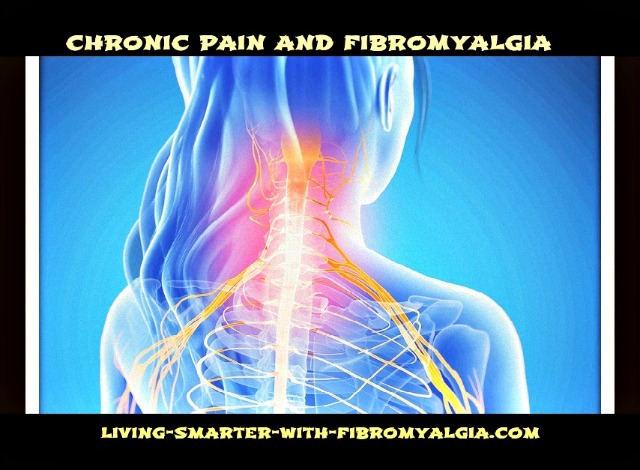 Today, I want to give you another way to look at the chronic pain and symptoms of fibromyalgia, and a new way to deal with it that can improve your quality of life. Let’s start by breaking down the pain “experience” into components. What she is conveying here is that the more you “fight the pain” or run from the pain and symptoms, the more you will suffer. We must face our fibromyalgia condition and accept it, but without being defined by it. After all, it is a fact; it does exist, and we must recognize it for what it is and only what it is – no more, no less. This is the first step towards my approach to chronic pain management and controlling our “suffering”. Why is this step essential? It is essential because with chronic pain conditions, most of us really don’t distinguish between pain and suffering, and that is pretty normal. But, if you think about it, they are very different things. Chronic pain management requires that we understand and accept the differences. By taking responsibility, we lessen our suffering. Unfortunately, the world around us is very full of "misery loves company" and this is not a good thing. Focusing 24/7 on our chronic pain and symptoms will only cause them to grow. Remember, what we focus upon increases. I discuss the elements of our pain response in the “Mindbody Science” page. If you remember, I said the pain signal first reaches the brain stem where the “fight or flight” reflex response is initiated. 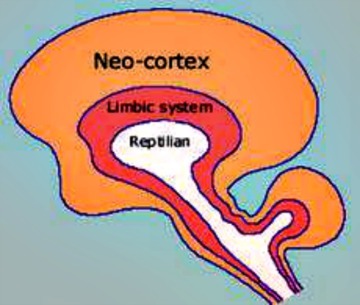 Then, the signal passes thru the limbic area of the brain where “emotions” are added, and finally to the cortex where subconscious or conscious “planning” takes place aimed at avoiding more pain. In the case of chronic pain the planning doesn’t work so hyper-alertness results leading to anxiety and is often accompanied by depression. We can use this knowledge in our chronic pain management. The first component of "Resistance" is the emotion, anxiety, that was added due to the body's fibro pain response. Remember what I’ve told you about how your mind body handles pain. Emotions are always easier to deal with when we understand why we’re having that particular feeling. In this case, this is a natural pain response; however, we know our fibro pain well. We know that we have fibromyalgia and will have fibromyalgia. We know the unpredictability of its pain. This is why I sometimes say, "embrace your fibro". Remember the quote from "The Godfather", "Hold your friends close, but your enemies closer." Facing your fibromyalgia is empowering. Our suffering can decrease. Not facing it will only increase our symptoms and take away our control. By lessening the degree of "suffering" we can then build on greater levels of wellness. It is crucially important that we not approach this as all or nothing. The second component of “Resistance” is also the emotion anxiety; but now, rather than being part of the way our body is wired, it's due to our worry about the “future outcome or result”. For example, let’s say you’re experiencing really bad fibro pain and the last fibro flare lasted several days. You don’t really know that you’ll have to cancel. We all know that our fibro pain “waxes and wanes” and getting out of our current mind and body experience might just be the best thing for us. What would fibro-girl suggest? Which of her protocols have worked in the past for you? Be proactive. Maybe you can lessen the pain severity. Finally, even if we do have to change plans, it is essential that we not get overwhelmed by negative experiences, but that we learn from them. My point is the "outcome" portion of “Resistance” is often hard to predict. Anxiety and stressing out ahead of a possible outcome is wasted time and emotions. It may never happen, and if it does, there may even be a “silver lining” to which many of us have attested. In my case which was this very situation, my husband figured out that I was having a flare, and he comforted me and told me he had cancelled our trip. I had not known previously that he understood my fibromyalgia. From that point, I never had to feel alone with this disease again. That was a gift to me; it was my "silver lining". Again, it is not all or nothing because the silver lining is what we build on. What you are doing here is what I call “Intentional Intervention”, one of my key tools for chronic pain management. I talked about the power of this process in controlling your fibro symptoms, particularly pain, on the “Mindbody Science” page. I give an example of this process with which we’re all familiar: Lamaze natural childbirth. This process has been verified in many studies, and I wrote about one amazing result uncovered by Harvard researchers in their study of “baby monkeys”. and by shedding light on each of them we’ve reduced their magnitude substantially. Consequently, our “Suffering” is much reduced. Remember that in the Bible, St. Paul said, “Everything is shown up by being exposed to the light, and whatever is exposed to the light, itself becomes light.” This is one of the most powerful tools in my fibro toolbox. Also visit our mind body connection page and mind body science page for more of the science behind the mind/body. It is very interesting. Lisa. FG.